Cream butter and sugar until smooth; add extract. Add eggs one at a time, beating after each. Alternately add flour and lemon lime soda to butter mixture. Beat on medium speed for two minutes. 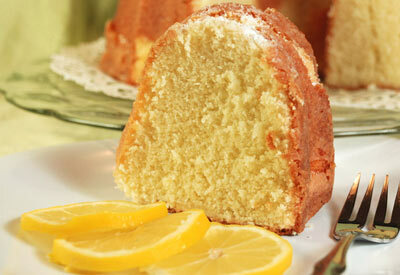 Pour into floured and greased bundt pan and bake at 325 degrees F. for 1 hour to 1-1/4 hours or until cake tests done. Allow cake to cool on rack for 20 minutes before inverting. Allow cake to cool completely before placing on serving dish. Dust with powdered sugar if desired.